Dock assistance when pulling in was USELESS. COILDNT WAIT YO GET OUT OF THERE. very commercial. Tour boats and lines to get on them everywhere. Facilities crappy. We apologize for the condition of our restroom and shower facility, we have a planned renovation that is set to start very soon. The renovation will include new restrooms, showers and laundry as well as a boater clubhouse for our guests. We are working as diligently as possible to make the renovation so that our guests can enjoy a comfortable stay at our marina. Again we are very sorry for any inconvenience that this has caused and we hope that you'll return to our marina in the future. staff was great. very efficient taking care of our fueling and pump out on arrival and moving to assigned slip. Vert friendly. However....the slip we were assigned to was across the dock from a monster catamaran used for a daily ferry to key west. They had their fender lines tied across their boarding ramp and the dock making a trip hazard for us older folks and I have a bad knee. When the crew started up the engines in the morning we were gassed big time. their exhaust was right in front of our bow. They let it run for about 10 minutes and shut down for boarding. A little before 8 am they restarted and gassed us again. Not to mention the noise on the dock from passengers boarding. One complete side of A dock is dedicated to large tour boats where we were docked. No fun. 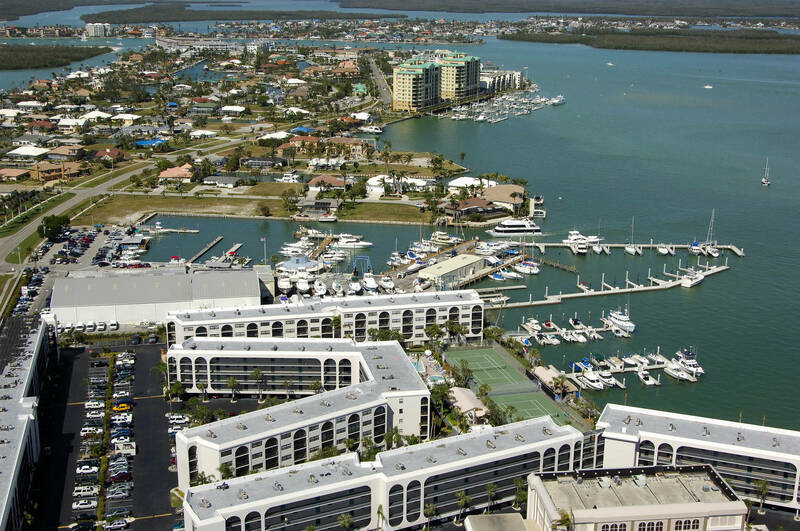 all the marinas in south Florida are pricey and you should expect a nice facility. There is no boaters lounge, 1 afterthought shower for each men and women, bathrooms that are open to the public and just a ratty looking building next to the fuel dock. We left the next day, went to a marina about 100 yards away and had the same price with top notch, first class accomodations. I would not recoment this marina and not return. 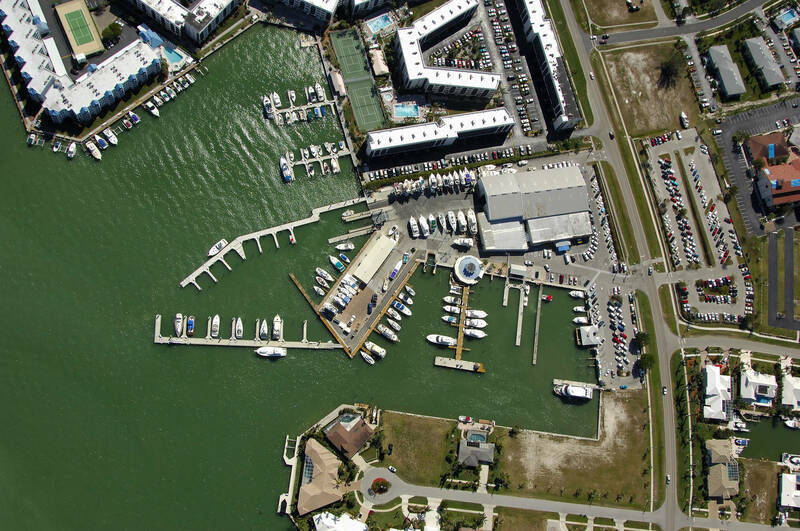 Facilities:1 star- The marina is old and in need of updates. When we called upon entering to check which side we would need to have lines set up they said we would be between two fingers. All lines set up and they flagged us in between a set of pilings. The pilings had broken wooden hooks and no protection. The staff: 4 stars. Very helpful but don’t seem to be as experienced with larger sailing vessels. Will was great and the rest of the team. It was Christmas weekend so very very busy. 5 Star Shout Out to Mike the parts and service mechanic / manager. We needed a relay for our starter and he went out of his way to check the details; find the Yanmar part and even recommend possibly another part that was needed. when I went back to get the old part to make sure it was right , and my wallet to purchase the replacement and the additional , he told me to hold off on the one part because he didn’t want to sell me something I didn’t need. He even printed schematic forms and explained. You don’t get that in a lot of marina chandleries today! Service department is the worst I have ever worked with in my over 40 years of boat ownership. The only way to communicate with the service department is to go in person as the service department does not answer the phone, return voicemail, or reply to email messages. The Service Manager is totally unprofessional and condescending. They are unable to make even simple repairs and they do not stand by their work. 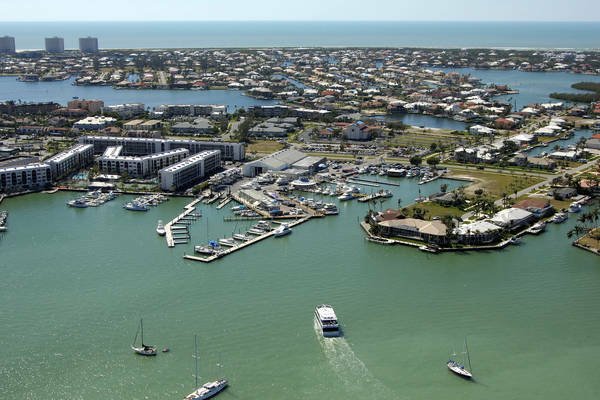 Love the marina, the staff and all the great folks we meet each time we go to Marco Island. Stay was great. Facilities OK. Bathrooms could be better. The WiFi is not good. Hard to even answer your email. Access to marina very good. Depth was fine. Great Restaurants nearby. Ships store is very nice. Floating Docks were nice. Staff was very helpful and helped us into our slip. Will stay on our trip back to Key West next winter. Regards. We did not stay at Rose Marina. Scheduled for the 13th but had to cancel because of mechanical problems.. could not reach a real person to cancel or reschedule. Dockwa was also cumbersome and poorly responsive. Will not pay if our account is billed. Rose Marina has great docks and great service, truly wonderful, very professional people. They are very busy and appear to be prosperous, so why are their bathrooms and showers such an embarasment? Why is their WiFi all but useless even with a booster? Dockwa is a royal pain, no personal contact available, no questions can be asked, you get bombarded w/e-mails, must reveal credit card w/o sense of security, etc. Rose Marina advertises wi-fi, cable tv, on-site technicians - none available. swflboater you sound like the owner. What a bunch of bologna, your marina stinks, lousy service, way over priced, dirty, and very rude management. I am so sorry I bothered you asking for service. That will never happen again. Stay away from this one. Our transient dockage stay here was a pleasure. We were greeted and taken care of with first class service! During our stay, we also needed boat repair service. Let's face it...nobody is happy spending money to get their boat repaired, but when you have to, you want to feel that the work was done correctly and be treated by the service staff with respect and professionalism. I have a 54' searay and recently had it serviced at Rose Marco River Marina, and that is exactly what I experienced! It cost me $4600, but the service writers kept me in the loop by communicating the progress to me almost daily, and they were courteous and professional. I had the bottom painted and boat detailed, as well as some repair issues with the trim/tilt, and other misc repairs. The whole job was done within 10 days and the work was done right! I don't know what happend with you there "PirateTom", but my experience was the complete opposite. Perhaps they've made changes and improvements since you were there. I didn't like spending the money, but at least they left me feeling like it was worth paying the price for the quality of work that was completed! This is a first class Marina! Floating or Fixed we have slips to accommodate all varieties and lengths of vessels including super beam catamarans. 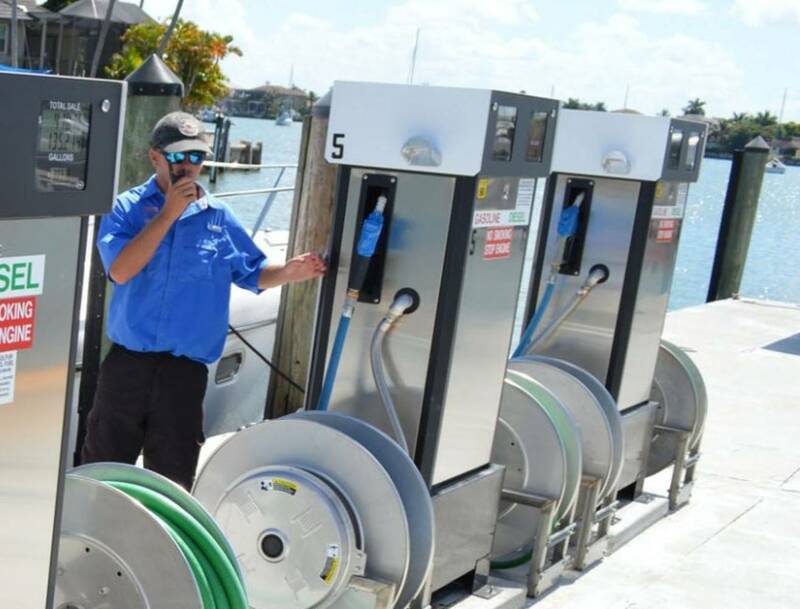 We dispense non-ethanol 90 octane gasoline and marine diesel via 8 fuel dispensers at two separate fuel docks. We offer the regions only true high speed diesel pump for larger vessels. Located just 90 miles North of Key West, Rose Marina offers deep water and direct access to the Gulf of Mexico and local inter-coastal waterways. Nestled in Factory Bay we offer fixed wooden and floating concrete docks all of which have water, power, free WiFi and free waste pump out. Our dockmaster and waterfront staff are available everyday from 7 am to 6 pm to assist in any way. 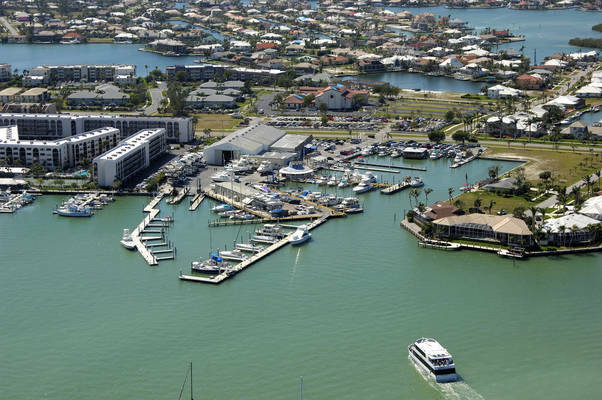 The Marina as we know it today has taken many forms through the years. Opening its doors in 1969, the Marina's original name was the Marco River Marina. It consisted of a parking lot, a small ship's store and a wooden T shaped dock extending from it. 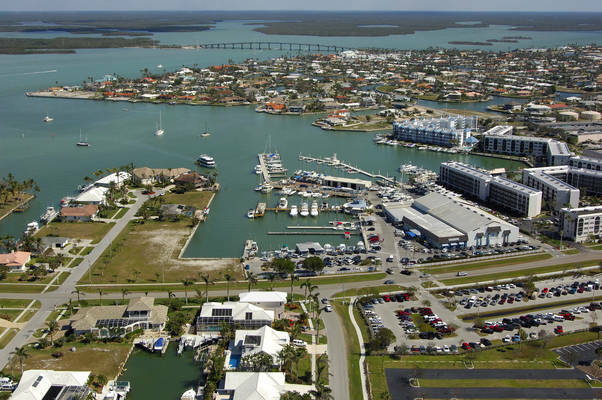 Years later Bill Rose bought the marina from its original owners. At which time he changed the name to Rose Marco River Marina and began using the Compass Rose (a symbol also used by his other companies) as the Marina's logo. 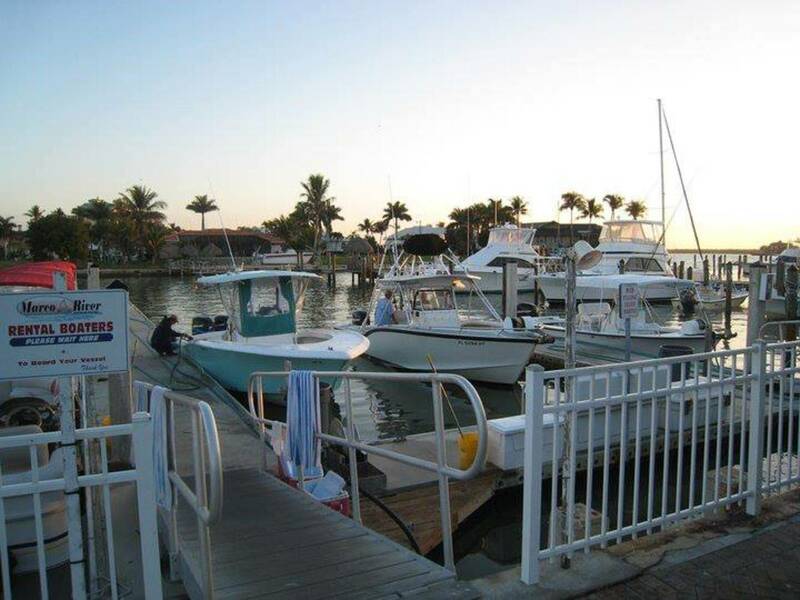 In December of 2010 we formally changed our name to Rose Marina, this was as much to memorialize Bill Rose as it was to cut down on confusion (nobody would ever say our name correctly as Rose Marco River Marina, it was a mouthful)… now our name is short, memorable and honors Bill. 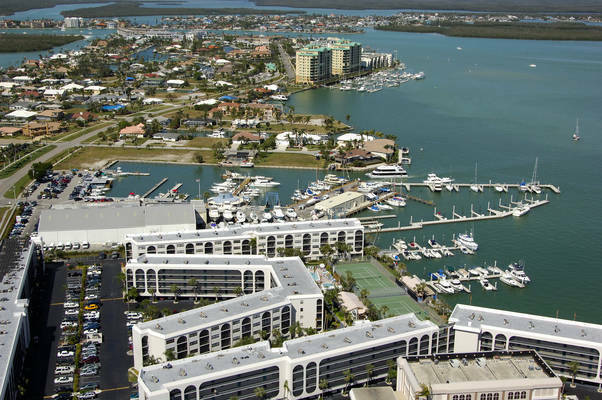 Rose Marina is now an entity in the Rose Family of Business overseen by family and long time business partners of Bill Rose, many of whom reside here, vacation here, and use the marina personally. Currently we have already discounted our normal rates due to an upcoming renovation project and we've temporarily removed the BoatUS and Seatow discounts until the renovation is complete. In order to ensure a great experience for all, we ask that all our guests review and agree to abide by the rules below. If you have any questions, please do not hesitate to contact the dockmaster on duty. Showers, bathrooms, garbage collection and laundry facilities are available to all guests. Showers require a key to access, a refundable deposit is required to acquire a shower key. Please see waterfront staff for hours of operation and location. Fish cleaning waste must be disposed of in the appropriate receptacles. Major in-water boat maintenance or repair is prohibited. We have nighttime security from 6 PM to 7 AM every night. 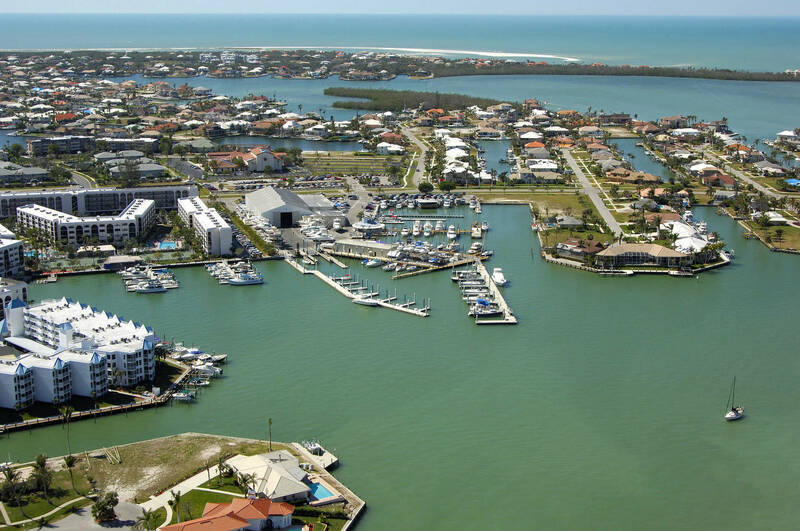 Collier County statutes do not allow liveaboards for more than five consecutive days or ten days per month. Fuel is available on the floating dock in front of our waterfront operations office. Please see our waterfront staff for assistance in pumping safely. Check-in is from 1:00 PM until the marina closes at 6:00 PM. Check-out is at 11:00 AM. For your safety, we do not allow storage of any materials on the docks or gangways without approval. Oil and Fuel waste disposals are available. See waterfront staff or dockmaster for location and charges. Quiet hours are between 10:00 PM and 7:00 AM daily. Barbecue grills of any kind are prohibited on the docks. Our Ship's Store has a complete stock of boating merchandise including environmentally friendly cleaning products. The Company shall have a lien against the above-described boat, its appurtenances, and contents, for unpaid sums due hereunder and for damage caused to any docks, property or person at Rose Marina. Said lien shall be in addition to and not limited to other lien provisions of the Code of Laws of Florida. All accounts shall be paid before leaving the Marina. This agreement is for the use of dock space only. Such space is to be used at the sole risk of the owner. The Company shall not be liable for the care or the protection of the boat, including its gear, equipment, contents, or for any loss or damage of whatever kind of nature to the boat, its contents, gear or equipment. 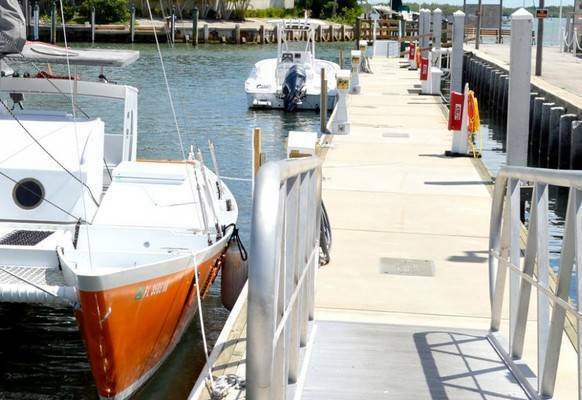 The Company shall not be liable for personal injuries to the owner, his/her guests, or members of his crew or party resulting from the use of dock space. The Company is not responsible for losses on or damages to boats in the Marina. 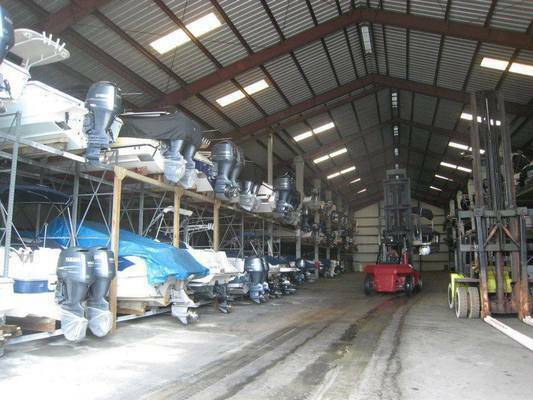 Boat owners are responsible for damages to dock structure and pilings. In the event of an emergency, the Company reserves the right to move boats to other mooring places but assumes no obligation to do so. 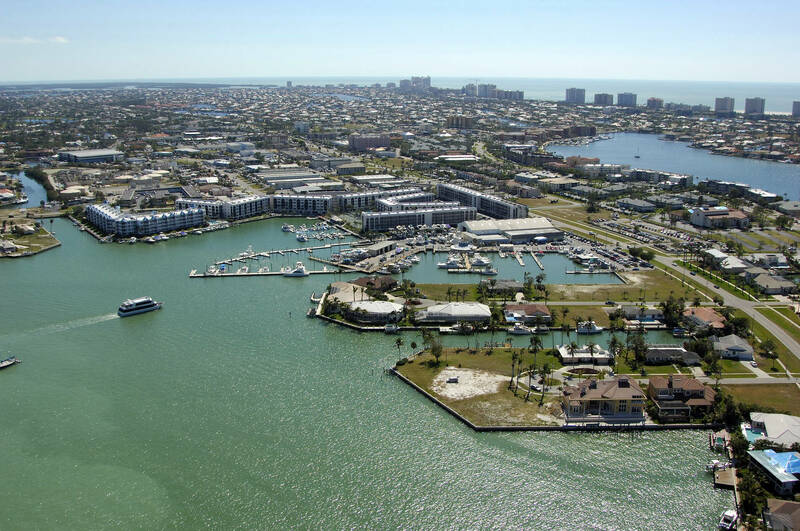 It is expected that the boat owners keeping their boats at Rose Marina during hurricane season will have made arrangements for the safe and sheltered anchorage of their boats elsewhere on the approach of a storm. The owners shall pay the Company a charge for preparing boats left in the marina during a hurricane. All guests agree to abide by all State and Federal Laws and Regulations. Authorized employees of the Company will replace, at the owner’s expense any dock lines considered by the dockmaster to be inadequate. No heavy maintenance (mast removal, major engine repair, etc.) is permitted. Crews are specifically prohibited from performing any major maintenance. The Company shall have the sole right to determine what type of maintenance or repair shall be prohibited. The agreement is named for the above-named boat. Lessee may not sublease or assign the slip to any other boat. No signs may be displayed nor may any commercial business activities be conducted without prior permission of the Company. On the occurrence of any event of default, the Company may terminate this agreement immediately. Upon such termination, the boat owner shall be obligated for with to remove his/her boat from its space or have it removed by the Company at owner’s risk and expense, and shall be liable to the Company for all unpaid dockage fees and for all damages the Company may suffer as a result of the boat owner’s default. In addition, the Company shall have upon such termination all further remedies and rights as may be available at law by reason of the boat owner’s default. Events of default shall include the following: a) Failure of boat owner to make timely payments. b) Breach of any other covenant or condition contained in this Agreement. c) Failure of boat owner to comply with dockside procedures listed in this Agreement, and/or published by the Company from time to time. 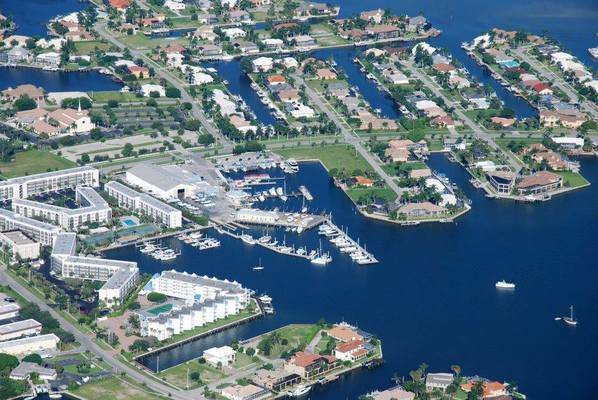 The Marina basin and surrounding areas are a designated Manatee habitat. East Indian Manatees are federally protected marine mammals that live in this area. Please review the informational signs located about the Marina. 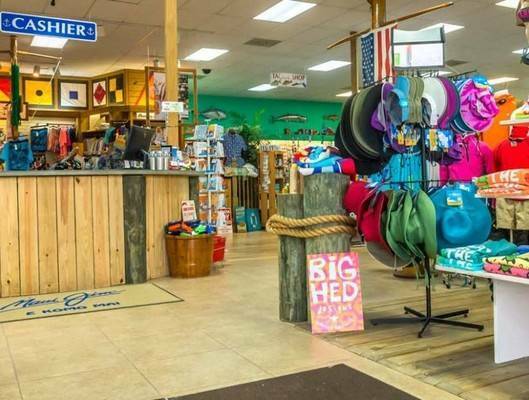 While in the Marina, you will receive a manatee information package, and by submitting this agreement, you agree you will abide by all local, state and federal rules regarding the manatee. While in the Marina, all vessels will have an approved and operating marine sanitation device. All through hull or overboard discharges of sewage, combustible materials, hazardous materials, gray water (shower, dishwashing and laundry), and bilge water are prohibited. There is a free sewage pump located on our T fuel dock. By agreeing to these terms, I hereby authorize the Company and its designated representative, to charge my account for goods and services requested by me, including dockage fees.